Primo primate artist Anthony Browne is at the top of his form with a simple -- and simply fascinating -- array of creatures for kids to count. What better attention-getter for small children than primates in all their variety? And who better to render them than Anthony Browne? In this elegant counting book, the author-illustrator outdoes himself with a vivid presentation of primates from gorillas to gibbons, macaques to mandrills, ring-tailed lemurs to spider monkeys. 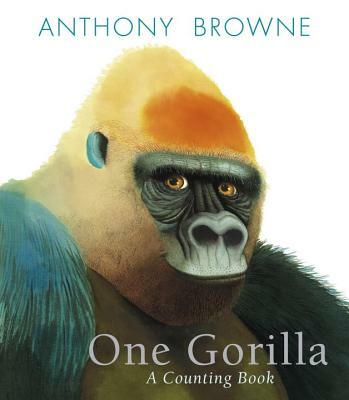 With his striking palette, exquisite attention to detail, and quirky flair for facial expressions, Anthony Browne slyly extends the basic number concept into a look at similarities and differences -- portraying an extended family we can count ourselves part of.